Do, even lawyers keep a catalogue these days? Recently I had an experience which ratifies what you’ve put up here humrously. hei Rajesh Thanks for your appreciation !! I had your comment in spam and checked it just now .. Sorry for the delayed response bro !! Nice one. Nowadays there is no use of hiring those stupid cartoons. 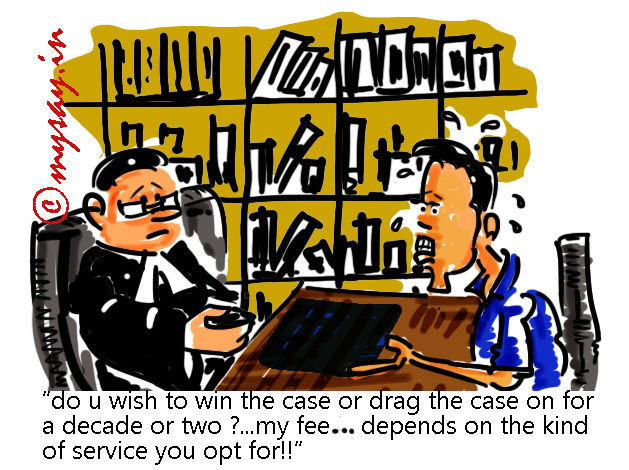 hahaha..who will fight the case then ?